Here is the scoop on what is going on with me and art and stuff for April. 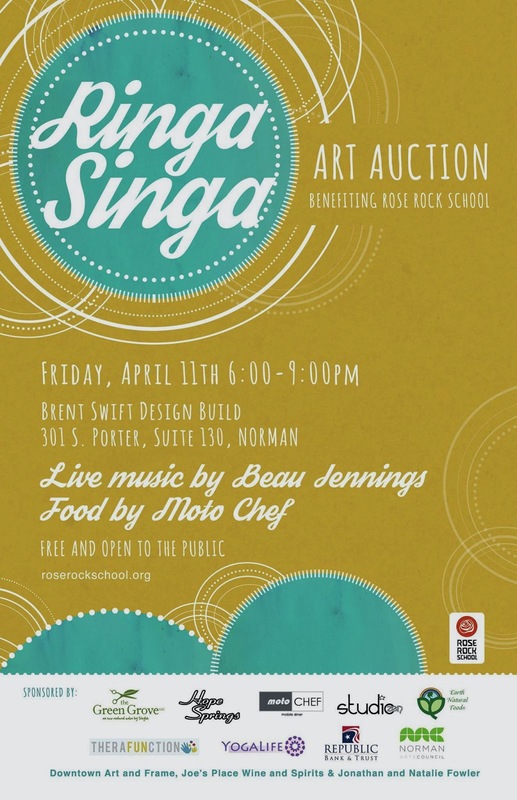 On April 11 during Norman, Oklahoma's 2nd Friday Circuit of Art I will have art at the Ringa Singa event Art Auction benefitting Rose Rock School. Rose Rock is a play-based, Waldorf-style school focusing on kindergarten/early years and fostering cognitive development and they use a sliding scale so families of all income levels can afford to send their kids there. I am really happy to support what they are doing -the teachers that held my interest in math, science, history, and technology in later years were the ones who kept it fun and thought out-of-the-box. On April 12th I will be participating in Arts Trek in Shawnee at the Mabee Gerrer Art Museum, as part of Broadway Arts Gallery's booth. We will have art for sale and also be demonstrating our work. You can find us in the indoor section of booths at the Trek.